LOWELL, MASS. 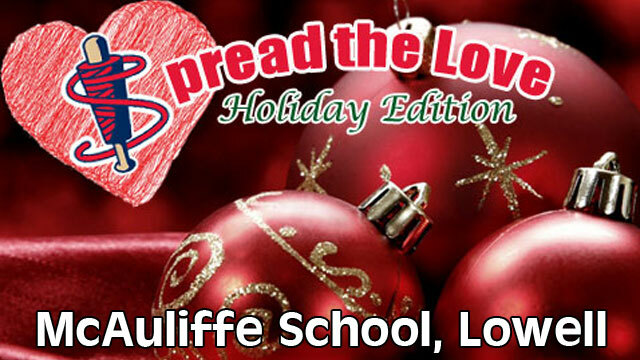 - The Lowell Spinners, Class-A Affiliate of the Boston Red Sox, will be getting a hand from a few famous faces and the students from McAuliffe Elementary School in Lowell as we spread holiday cheer to the heroes at the Edith M. Nourse Veteran's Hospital in Bedford Thursday, December 18. The Spinners front office staff will be joined by a number of familiar faces, including the World Famous Dog Man, beloved Spinners' mascot Canaligator, the LeLacheur Park Minions, Stuart and Dave, members of the Lowell Police Department and more guests to be announced. "We are so grateful to the staff and students at the McAuliffe School for their support in saluting our heroes," said Spinners President and General Manager Tim Bawmann. "In addition, to have these special guests take time out of their schedule to interact with the students and visit with the veterans makes this a truly special event." The caravan will be joined this year by a pair of lovely ladies, as Queen Elsa of Frozen fame, will be joining the caravan for the visit to McAuliffe School, while Miss Massachusetts Lauren Kuhn will be joining up at the veteran's hospital. The group will join the students in making holiday cards to be delivered later that morning to the heroes at the Edith M. Nourse Veteran's Hospital in Bedford. "Seeing the joy that something as simple as the student's cards can bring is emotional," said Bawmann. "The holidays are about sharing cheer and joy and we are thrilled to be able to bring just a little bit of that to our heroes."